Dhaka, Mar 5 (Just News): "The Shape of Water" on Sunday won top honors at the Oscars including the coveted best picture statuette, bringing the curtain down on a Hollywood awards season overshadowed by scandal over sexual misconduct in showbiz. 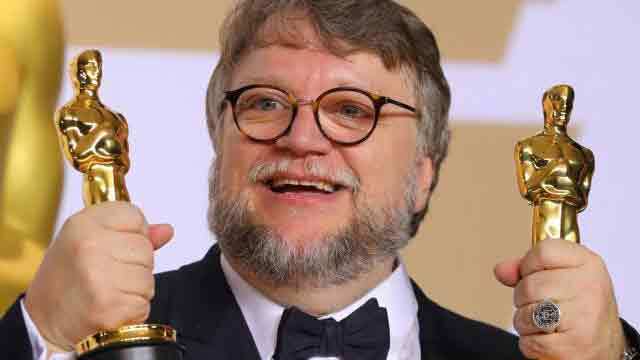 Guillermo del Toro with the Best Director Award and the Best Picture Award for `The Shape of Water. Photo: Reuters"I am an immigrant," an emotional Del Toro said in collecting his first prize of the night, praising the power of filmmaking to "erase the line in the sand" between people of different countries and cultures.